If you are like me, you take pride in completing a DIY project. On top of doing the project yourself, you saved yourself a little bit of money and maybe some hassle (like being home to let the contractor into you house. Some DIY projects are easy such as hanging a picture; others are more challenging such as electrical work. I’ve learned over the years that there is a time and a place for DIY projects and a time for professionals to be called. Often, the risks of incorrectly doing a project outweigh the costs of calling a professional. This holds true for estate planning as well. Some people think Estate Planning can be a DIY project. You simply go online to a website and plug in your information and, magically, a will or power of attorney is produced. You get it notarized and you are ready to go. It seems easy enough. However, when does a DIY’er know if they are doing it correctly? Just like doing a house project you sometimes do not know all the ramifications of what you are doing. That wall you removed may actually be load bearing and now you have a problem. By attempting to use a DIY estate planning tool, people can end up causing more problems. For example, a will must be properly executed to be valid. If a will is not executed in front of witnesses, then the court may throw it out. This is exactly what happened to a gentleman in New Jersey. Matter of Will of Feree. He did his own will using a do-it-yourself program. He also decided to add some additional handwritten requests to the preprinted form. These handwritten remarks ended up causing a fight that went to court. The New Jersey Courts found that the handwritten part of the will was not admissible (and therefore, not enforceable) because it was not properly signed by Mr. Feree. Mr. Feree saved some money doing his own will but it lead in this circumstance to 1. Family Dispute; 2. Lawsuits; and 3. Ultimately the defeat of his wishes. This could all have been avoided if he would have spent a few dollars and went to an estate planning attorney. So what are some of the problems with DIY estate plans: First, estate planning is not just completing forms. An experienced estate planning attorney will go through various options available to you and your family and the best ways for you to meet your goals. Every family is a little different and not all situations should be treated the same. An experienced estate planning attorney can assist you with achieving the best outcomes such as protecting your hard earned money from your beneficiaries’ predators and creditors. An attorney, because of their experience, can anticipate where there may be future problems either with the family or with the administration of your estate. An attorney can also make certain that the language you use actually creates a testamentary intent. Your DIY will may be written in a manner that the language is not dispositive and thus renders the will unenforceable. An attorney can also guide you through certain income and estate tax issues that can arise on death. Much like the home project that goes haywire, the DIY estate plan can cost families more time and money than if a professional was called in the first place. The role of an Estate Planning Attorney is to be a counselor in explaining your different options and pointing out some of the pitfalls that may be lurking. Computer generated forms are simply not comparable to the advice that an Estate Planning Attorney can provide. The estate planning process should not be scary. It is much more frightening to think about what could happen if your plan is defective. Pat has been practicing law for almost 20 years and focuses his practice on all aspects of estate planning. Understanding that the estate planning process is very personal, Pat takes the time to listen to his clients’ goals and concerns and empowers his clients so they can make decisions that can produce the best outcomes. Our Mission at Epiphany law is to positively impact lives through education, empowerment, and an innovative approach to problem solving. One of the ways we live our mission is to host meetings that allow business owners to share ideas, learn about various business topics, and share best practices relevant to business professionals. The goal of Morning Business 60 is to provide information to business owners which will assist them in running their business effectively and efficiently. It is free advice, networking, and includes a light breakfast and coffee all at no cost to you. At our December Morning Business 60 we will discuss estate planning for the business owner. Business law and estate planning are often viewed as separate and distinct. But for the owner of a closely held business, the two must, but often fail to, overlap. The best planning results from a team approach which efficiently combines both. Empower yourself as a business owner and join Epiphany Law for Morning Business 60 – Estate Planning for the Business Owner on December 6, 2018 from 7:30 – 8:30 am at Epiphany Law in Appleton (2800 E. Enterprise Ave). Registration is required; contact Epiphany Law at 920-996-0000 or marketing@epiphanylaw.com to register or for more information. We’ve outgrown our current office and we are relocating on July 27, 2018 into a larger building with advanced technology just a few blocks from our existing location. The move will house our growing staff and will have the space to host seminars, workshops, and CLE classes for attorneys and advisors. The new state of the art training center will regularly be used by our team to empower clients, advisors, and business owners. Since the firm was founded in 2004, the team has grown to over 20 employees. The entire staff will make the move from our current 3600 square foot location at 4211 North Lightning Drive to the 8400 square foot location at 2800 East Enterprise Avenue. A ribbon cutting ceremony and open house will be held August 15, 2018 from 4pm-6pm at 2800 East Enterprise Avenue, Appleton. The ribbon cutting will be at 4:30pm. Everyone is invited to attend. Parents with children with disabilities are faced with unique challenges. One of the major concerns of parents of a child with special needs is how to properly leave money to the child. Because most children with disabilities will receive some sort of public benefits to help pay for medical and long-term care, it is of vital importance that the disabled child not receive assets directly or have money gifted to them personally. Even for a child who does not utilize public benefits it is important to understand that their child may be at risk to creditors and other people who may want to take advantage of them. Because of these above reasons, a Special Needs Trust becomes a necessary tool for a person with disabilities. Mom and Dad are able to leave a legacy to their child but without disqualifying the child from public benefits. Other family members, such as grandma and grandpa, can leave gifts or a legacy to the disabled child without a worry that the child will become a target from unsavory individuals. As a result, these funds will then be available to supplement the needs of the child in the future. To learn more about Special Needs Trusts visit our site. So if you are like me, you take pride in completing a DIY project. Even though I feel a sense of satisfaction when I complete a project, I’ve learned over the years that there is a time and a place for DIY projects and a time for professionals to be called. Often, the risks of incorrectly doing a project outweigh the costs of calling a professional. This holds true for estate planning as well. Some people think Estate Planning can be a DIY project. These people find online tools and services to complete estate planning documents. By attempting to use a DIY estate planning tool, people can end up causing more problems. The online forms were not in sync with Wisconsin laws. These problems ended up costing the DIYers and their beneficiaries more time and money than it would have if they called a professional in the first place. These issues may have been avoided by speaking with an experienced Estate Planning Attorney up front. The role of an Estate Planning Attorney is to be a counselor in explaining your different options and pointing out some of the pitfalls that may be lurking. Computer generated forms are simply not comparable to the customized service and advice that an Estate Planning Attorney can provide. The law says that kids become legal adults the day they turn 18. So what does that mean? Yes, they can vote…but what else? When a child turns 18, parents no longer are able to make health care and financial decisions for the child without written legal authorization. Imagine being a parent of an 18 year old. Now imagine that the child is in the hospital due to an emergency situation. Without the proper planning, doctors are unable to share information with you. Imagine your 18 year old is a victim of fraudulent use of their credit card. As the parent, since your child is a legal adult, banks will not communicate with you about this. Medical Power of Attorney – Gives parents the authority to make medical decisions on a child’s behalf if the child is unable to do so. Living Will – States a person’s wishes about life-extending medical treatment. HIPAA Release –Allows heath care providers to release medical information with designated people. Durable Power of Attorney – Grants parents the authority to sign documents for their child. For example, this allows a parent to manage financial accounts or file a tax return on behalf of the child. Without these documents, the courts will make decisions for you. Therefore, it is important to have this difficult discussion with your children. People often believe that when they enter into a nursing home, it is too late to do any planning. However, this could not be further from the truth. The truth is it’s never too late to legally protect assets. Just the other day, we helped a client who was already in a nursing home. We gifted part of her estate to her family while she remained eligible for government assistance to pay for her nursing home care. The client entered the nursing home in January. We were contacted in April in regards to protecting some of her assets for nursing home. Her assets were around $130,000.00 and kept in money market accounts. We used a Medicaid Compliant Annuity which allowed her to gift approximately $58,000.00 to her family. The remainder of the money will go to pay for her nursing home payments for the next 6 months. 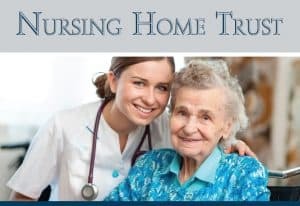 During this time period, we will apply for government assistance which will continue making the payments to the nursing home after her 6 moth payment period expires. This example demonstrates that it is never too late to plan for nursing home. Cases like this happen all the time, people enter a nursing home and loved ones assume that they it’s too late to do any asset protection planning. Don’t assume that it’s too late! Unless your assets are already gone, it’s never too late. A phone call to learn about asset protection from nursing home costs won’t cost a thing…but not making that call could cost everything. It’s that time of year…kids are back to school and if you are a family who is fortunate enough to have a family cottage, lake house or beach house, you may be getting ready to close it up for the season. The family cottage undoubtedly provides numerous memories for your family. Whether it be boating, fishing, hunting, swimming, or just time away, these memories are cherished. Every family wants to pass on these memories to their children and their grandchildren. However, many times problems arise when more than one person owns or inherits property. Many of us, including me, enjoy the satisfaction that comes from completing a DIY project. This satisfaction is a result of knowing that I completed a project without having to call a professional and that I saved a lot of money. However, all too often, we “DIY-ers” make a mistake, or something goes wrong with the project. Quickly that feeling of satisfaction turns to frustration when realizing that DIY project wasn’t done right and ultimately the project costs are bigger than they would have been if a professional was hired in the first place.